Sage Human Resource Management System (HRMS) is a customizable business solution designed and developed to enable customers to meet HR management challenges of the current time. The software is featured with integrated payroll, benefits, recruiting, employee self-service, and analytic capabilities to helps customers to maximize the investment made on employees. It is a comprehensive HR management solution for small and med sized businesses. The software closely monitors employee records, HR compliance and reporting, benefits administration, time and attendance, employee training and certification, and payroll processing. Sage HRMS is a smart solution for the new era of HR. The software effectively frees the HR experts from the administrative burdens. When the software is merged with optional extended solutions, it takes up the functionalities for payroll management, talent management, risk mitigation & compliance, paperless HR, decision support, recruiting and on-boarding, employee benefits management, and time and attendance management. Cobra and HIPAA Compliance – Stay flexible with notification letters that describe coverage options and costs, billing statements, and eligibility reports. Strong Reporting Tools – Approach easily to critical business information regarding flexibility and strategic planning with the in-built reporting tools included in Sage HRMS HR. Easily Track Benefits – The software tracks unlimited benefits plans, generate reports, define eligibility criteria etc. Extensive Benefits Management – The software helps on creating benefit plans, define the eligibility criteria, and calculate employee/dependent and employee premium and benefit costs. Government Reporting Compliance – The software is features to manage government requirements for regulations such as EEO, I-9, Vets-100, FMLA, OSHA, and worker’s compensation with a great ease. Time-off Management – Featured with capabilities that tracks for all types of time-off such as jury duty, medical leave, bereavement etc. Data Security – The software safeguards the crucial data and information and controls which groups have access to data at any level. Sync with MS Outlook and Import Data to Excel/Word with Ease – The software allows preview and data analysis for strategic planning and decision making. Approachable Employee Information – The software allows easy approach to employee information including benefits, dependents, current pay, job history, and performance review. FMLA Tracking – The software assign regular leaves of absence, manage and report on leaves of absence covered by FMLA, track medical certification and recertification dates, and track FMLA time duration. 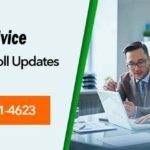 Contact Sage customer support dialing the toll free phone number and directly speak about your issue with the Sage expert. Fetch all the software updates regularly so that it will help you to keep your investment safe and secure. Land to the Knowledgebase page. It is the online self-help site that helps in troubleshooting all the doubts and queries with the latest information. 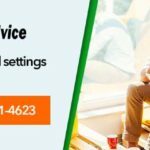 You can also chat online with a Sage representative and fetch solutions for your problems instantly. 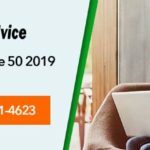 In case the Sage customer support phone number is engaged for a long time you can choose other ways to fetch support. There are third party agencies like accountingadvice.co – trustworthy and according quick solutions for the issues that are reported by the clients from across the world. The company focuses on providing best quality support considering time of the client. When you report your problem to the customer care experts they take over the responsibility to resolve the error completely. The company employs experienced Sage professionals who have in depth knowledge about the accounting software helps to identify the issues and provide the right solutions. The team assures also you first call error resolution in the minimum wait time depending upon the error category. The long years of experience working over Sage and its products including its install updates, conversions, customizations, support and training helps to provide excellent services to the clients. 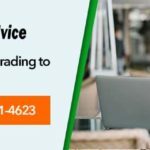 Quickly dial the technical support phone number and connect with accountingadvice.co today! We offer 24×7 support and the toll free number 1800-961-4623 is always active to provide best support experience.